Senators owner Eugene Melnyk expressed his frustration and spoke candidly about impending offseason changes coming to Ottawa when he spoke to reporters Tuesday. “Eugene Melnyk is not happy with his team’s play, and he let the world know it Tuesday. Speaking to reporters, the Ottawa Senators owner put his management, coaches, trainers and players all on notice after watching the Sens tumble out of the playoff race. ‘We’re going to have to make changes for next year. ‘I’m looking at all of it. 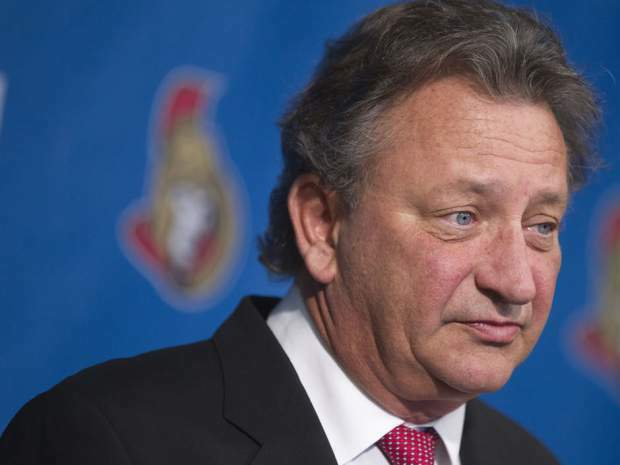 It’s right across the board,’ said Melnyk, who was made available to speak about the Senators’ 25th anniversary. ‘There’s nobody safe when you have a year like we just did. No way. The status quo will just get us (back here) next year. I commend Melnyk for calling it how he sees it with regards to his franchise. Not only is that his right as an owner, but it’s pretty obvious that Ottawa, like every other Canadian club, has taken a step backwards this season. If I’m being completely honest, from the outset of the season, the mainstream media and fans have been overly unrealistic about the Canadian teams’ chances of making the playoffs. For me, outside of the Montréal Canadiens, none of the Canadian clubs were good enough to make the playoffs this season. Ottawa is no exception. The Senators enjoyed a miraculous second half of the season last year. 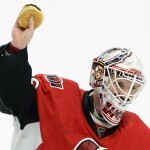 From the improbable rise of Andrew Hammond to the incredible run starting in February that saw the team overcome a 14-point deficit that led to a playoff berth, that type of historic rally simply was not going to repeat itself. Melnyk is smart to notice that changes need to be made in order for the Senators to be competitive on a consistent basis. I agree with his assessment of some of the changes that were made this season. For example, the Dion Phaneuf trade was definitely a huge win for the Sens in my book. Though Melnyk also commended Senators general manager Bryan Murray for the recent acquisition of Scott Gomez, that is a minor move on a much smaller scale. It’s important that Melnyk can recognize and acknowledge positive steps that have been taken while also expressing that more needs to be done. 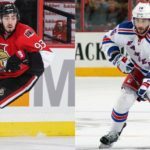 At the end of the day, the Senators are far from the most disappointing franchise in the Canadian market, but that is no consolation to Melnyk or anyone else in the Senators organization. With a message like the one Melnyk delivered Tuesday, we can probably expect sweeping changes in Canada’s capital this offseason.